Caillebotte often painted Parisian men and women on the street or in their homes. Here a lone male bather inhabits a private space, devoid of decoration. 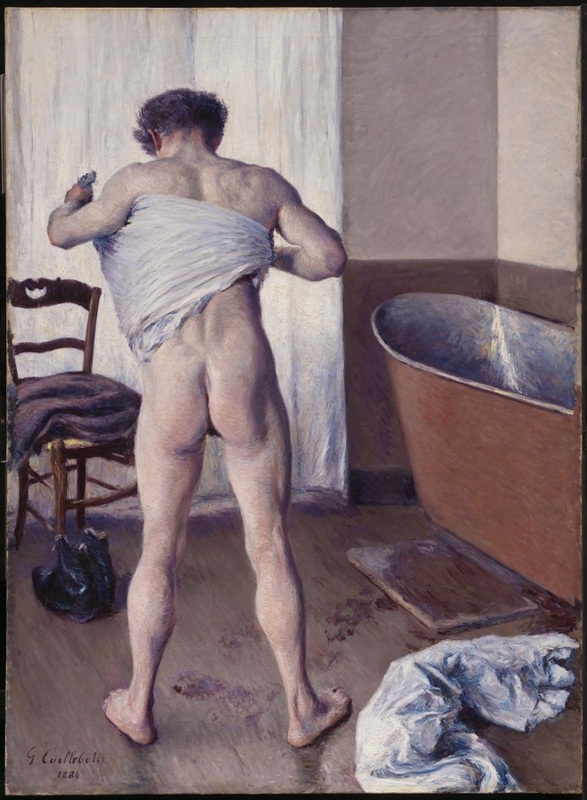 Caillebotte painted both male and female nudes, but this composition was among his most ambitious. The artist may have turned to the subject after acquiring some of Edgar Degas’s female bathers of the 1870s.